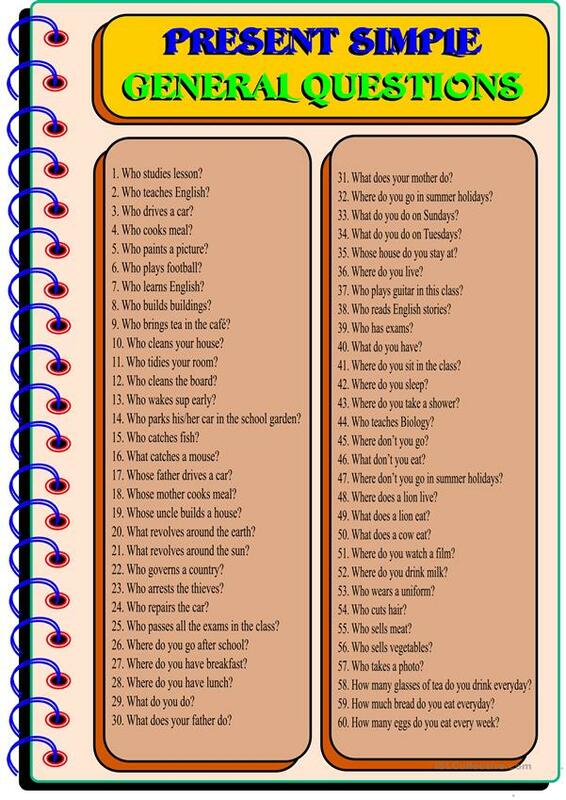 60 questions in Present Simple. Wh- questions, the names of jobs, etc. included. This downloadable printable is recommended for business/professional students, high school students, elementary school students and adults at Elementary (A1), Pre-intermediate (A2) and Intermediate (B1) level. It is a useful material for consolidating Present simple tense and Questions: Yes or No questions in English, and can be used for working on your class' Speaking skills. It features the vocabulary topic of Jobs, work.